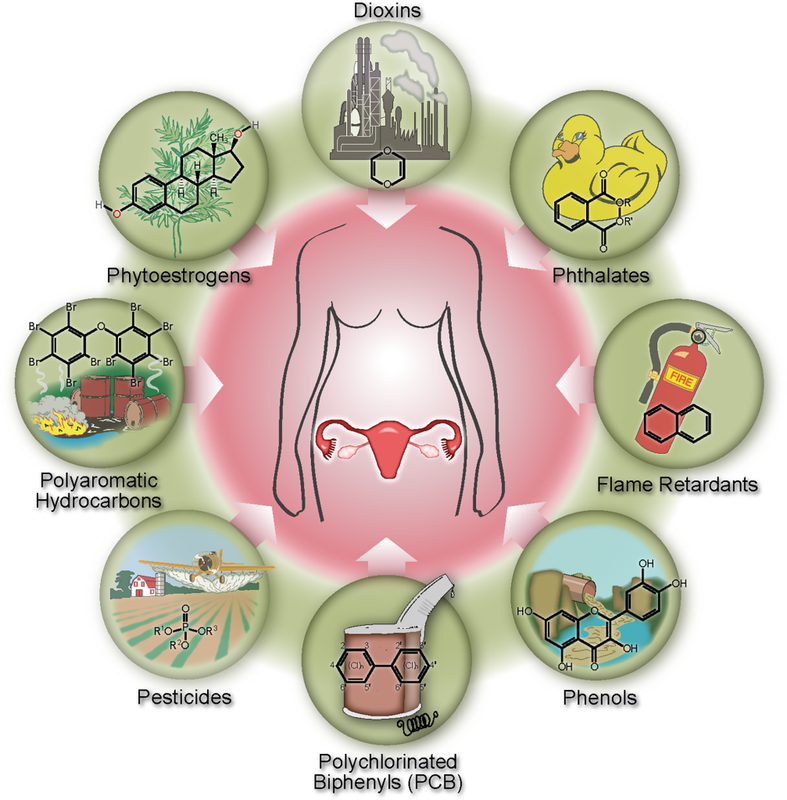 Exposure to endocrine-disrupting chemicals (EDCs) is responsible for a substantial proportion of cases of the two most common female reproductive tract disorders, fibroids and endometriosis, at a huge public-health cost, European Union data reveal. 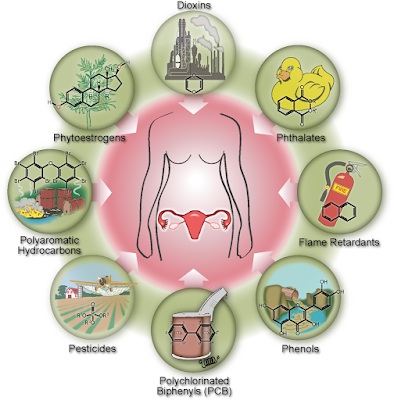 The new analysis demonstrates that EDCs, which are found in pesticides, cosmetics, toys, and food containers, cause reproductive health problems in hundreds of thousands of women a year, at an overall cost approaching €1.4 billion ($1.5 billion). However, senior author Leonardo Trasande, MD, MPP, associate professor of pediatrics, environmental medicine & population health at NYU Langone Medical Center, New York, warns that this is but a fraction of the overall female reproductive disease burden linked to these chemicals. "We're hopeful that [these findings] add to the focus on identifying and eliminating chemicals for which the evidence is greatest for their contribution to disease and disability in Europe and the economic benefits of prevention, which have to date not been really considered," Dr Trasande told Medscape Medical News. He added: "There is active regulatory consideration underway by the European Union to decide the criteria by which to evaluate EDCs and their impact... We believe these are highly informative data that the [European] Commission should take into account in formulating these criteria." The research was published online March 22 in the Journal of Clinical Endocrinology & Metabolism by Patricia A Hunt, PhD, School of Molecular Biosciences, Washington State University, and colleagues. The US Endocrine Society issued a recent warning regarding the link between EDCs, diabetes, and obesity, among other conditions, and this new study is part of a wider series of publications that examine the evidence of the contribution of EDCs to disease and disability in the European Union. As previously reported by Medscape Medical News, EDCs have been shown to contribute to neurobehavioral deficits/diseases and male reproductive disorders, alongside the increased risk of diabetes and obesity. The total annual cost of these conditions in the European Union is estimated to be €157 billion ($175 billion). "I'm delighted that we were finally able to complete the work by looking at female reproductive conditions," Dr Trasande noted. To be able to pull together data “from the various strands of evidence,” Dr Hunt and colleagues realized that they would need to take into account the probability of causation, and so they adapted methodology used by the Intergovernmental Panel on Climate Change framework to apply toxicological evidence to disease outcomes. As it is difficult to link developmental exposure to ovarian function in adult women, the team focused on associating adult exposure with adult outcomes. Specifically, they examined the outcome–exposure relationship between adult diphenyldichloroethene exposure and the occurrence of fibroids, and between adult phthalate exposure and endometriosis. Using data from a series of European cohorts, they determined the odds ratio of developing fibroids or endometriosis relative to EDC exposure. They then calculated the direct costs, such as hospital stays, and indirect costs, including lost productivity, associated with the disorders. The team found that, for both diphenyldichloroethene and phthalate exposure, the strength of epidemiological evidence for an association with fibroids and endometriosis, respectively, was low and the toxicological evidence was also low. Nevertheless, for both fibroids and endometriosis, it was estimated that between 20% and 39% of cases were because of EDC exposure. This translated into approximately 56,700 women undergoing interventions as a result of fibroids in 2010. For endometriosis, it was determined that there were 145,000 cases among women aged 20 to 44 years because of EDC exposure. The direct and indirect costs associated with these EDC-related cases was estimated to be €163 million ($182 million) across the EU for fibroids and €1.25 billion ($1.40 billion) for endometriosis. Although the costs associated with EDC-related fibroids and endometriosis are high, the researchers believe that they are just the "tip of the iceberg" in terms of the overall burden of female reproductive problems associated with EDC exposure. They write: "Although it is highly appropriate to focus on these extremely important uterine tract health deficits, [polycystic ovary syndrome], infertility, and pregnancy complications also affect a considerable number of women, have major cost implications, and are increasingly linked to EDC exposures." "Thus, it is important to recognize that the cost burdens calculated in this analysis do not represent all, or even most, of the reproductive costs associated with human female exposure." Dr Trasande noted that exposure to EDCs in the United States is similar to the European Union and the "costs of these EDCs are likely to be equal, if not greater, in the United States." He noted that the 1976 Toxic Substances Control Act is being actively reconsidered, which, although it does not address EDCs directly, provides a regulatory framework for all new and existing chemicals. Pointing to a recently published commentary he wrote for JAMA, Dr Trasande said that although "the House and Senate have agreed on different versions of a revised Bill, both versions are rather weak in the 'caffeine content', if you will, and don't go far enough to invest resources in prevention." This work was supported by The Endocrine Society, John Merck Fund, Broad Reach Foundation, and Oak Foundation. The authors have reported no relevant financial relationships.